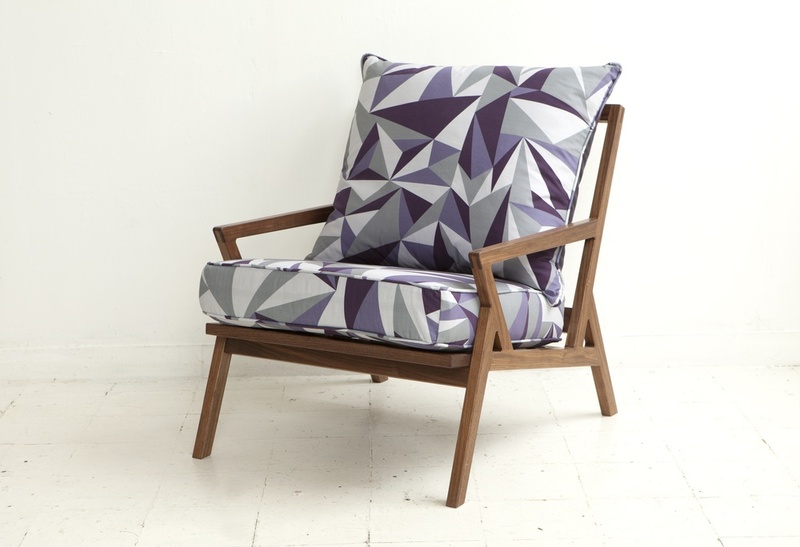 The Bradbury Lounge Chair is a collaboration with London based textile designer Lorna Syson. Launched in Paris at Maison & Objet 2012, it is made from oiled Amercan black walnut with 100% cotton upholstery in Lorna's stunning Bradbury fabric in a choice of two colourways. A feather filled back cushion and foam filled seat cushion on a webbed base ensure maximum comfort.